Apart from these forms the city can use other appropriate tools and resources, eg. information meetings, meetings and so on.The specific legislation must be met in their implementation. 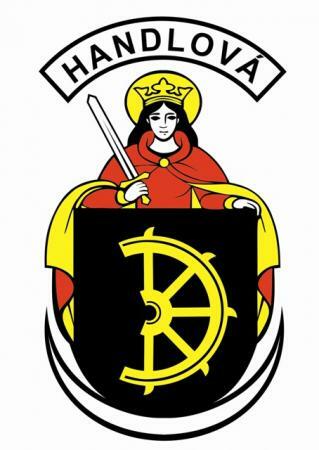 The work of self-government is provided by the town government of Handlová Municipality, the organizations set up by the town, organisations where the town participates, organizations which were selected in accordance with the high legislation. The town has to cooperate with business legal and natural persons operating in the town and also with political parties and movements, evolving activity in the town, as well as with interest groups of citizens. The town also works closely with other businesses whose activities are, or may have an impact and importance for the town, especially from the point of view of individual self-government functions of the town. 1st Tasks, that town fulfils during performance of municipal functions, are determined by the Law about the Municipal establishment in a valid version, more specific laws and generally obligatory legal regulations. 2nd Details of the status, powers and competence of city authorities Handlová are adjusted by the Status of the town Handlová VZN n.5/2007. 3rd The town issues generally obligatory regulations (only "Regulations"farther) for the tasks of the town government, if it is set by law. Municipal regulations must not conflict with the Constitution of the Slovak Republic, contrary to the constitutional laws, laws and international treaties by which the National Council expressed consent and which were ratified and promulgated in the manner prescribed by law. In cases which the town fulfills the roles of state administration, government regulation may be issued only under the authority of law and its limits. That regulation must not be variance with the Constitution of the Slovac republic, constitutional laws, international treaties which were ratified and promulgated in the manner prescribed by law, with laws, with government regulations, generally obligatory regulations of ministries and other central government bodies of the State administration. The procedure for preparing the materials and documents for the adoption of regulations of the city, their issue and how the enforcement of these regulations is prescribed by law, the status of town Handlová and Rules of Procedure of the Municipal Secretaryship in Handlová. 4th If the law during the adjustment of competence does not set that there is the performance of the transferred competence of the state administration, it stands that there is performance of self-government of the town. 1st activities related to proper management of movable assets and property of the town and state-owned property left to the town to use. The town decides and implements all the operations associated with the administration of the town and its property, all issues which as a self-government competence are adapted by a special law, if such acts are not carried out by state or other legal or natural person according the law. Thursday from 7:00 am. to 3:00 pm. Friday from 7:00 am. to 2.00. pm.